Formerly by iQspeakers, now Nord Acoustics, a range of Hypex uCD and nCore amps in standard Italian-sourced or upgraded Japanese chassis sell direct. That means better pricing. Their portfolio's current big dog is the SE UP platform available in stereo or mono chassis. 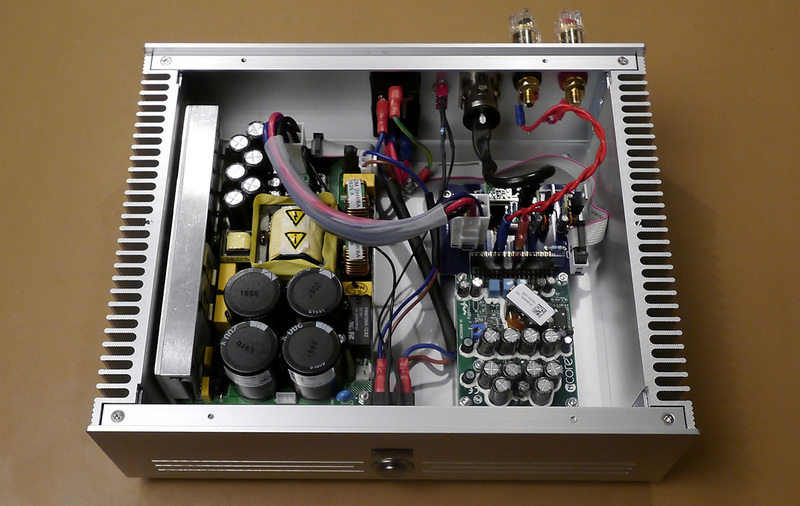 This NC500 (modulator) and 1200A700 (SMPS) affair allows vendors to use their own input buffer. So Nord's Colin North does exactly that. He rolls his own. Et voilà, that allows owners to themselves laissez les bon temps roulez - if the French can forgive us. Think 8-pin socketed discrete dual opamps for sonic tweakery. Colin's two recommended options are the Sonic Imagery 994 and Sparkos Labs SS3602. Here's how he describes them. "The more accurate, airy, precise Sonic Imagery with amazingly natural 3D imaging is leaner than the Sparkos. It'd suit warm tube front ends." To get tekkie, "ultra-low noise of 0.89nV/Rt.Hz@1kHz combines with excellent high-speed specs (gain-bandwidth product >50MHz), immeasurably low distortion and true precision parameters (>200µV offset voltage, 118dB voltage gain open loop). Although the input stage operates at nearly 1mA of collector current to achieve low voltage noise, input bias current is typically less than 1uA. 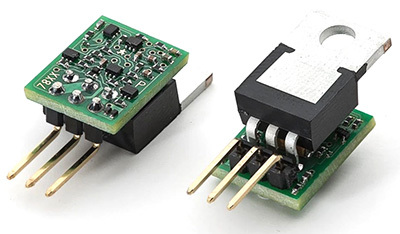 The all-discrete SMT design utilizes an ultra-precision differential super-matched transistor pair and high-performance, temperature-stable, power-supply-independent current sources. A dual matched pair of temperature-stable current mirrors and dual matched pair of active current loads give outstanding power supply rejection." If all that was nerdy mumbo jumbo, here's the upshot: "This discrete op-amp's voltage noise is less than the thermal noise of a 50Ω resistor." Check. For the Sparkos, "it's the richest, warmest, fuller softer option running in Class A at relatively high current. If you are after a valve amp or solid-state Class A amp experience, this will deliver hugely textured involvement." Yet Colin's currently best amp doesn't stop there. His buffer also adds discrete voltage regulators from Sparkos Labs. "The noise spec of these is vastly superior to standard 78XX/79XX parts. That's because of heavy filtering on the internal voltage reference. It requires large capacitors which cannot be implemented on standard monolithic designs. Having a fully discrete error amplifier allows for extremely high input rejection and unique compensation techniques that cannot be implemented with standard monolithic IC error amplifiers. These improve even over the €30 Hypex HxR parts as they should at $94/pair." Having unceremoniously jumped into the shallow end of this assignment, we've already covered why this class D amp doesn't drive pure stock but gets a bit more bespoke. For trim, there's a dimmable Swiss Schurter blue halo power switch, Switchcraft XLR input and American CHK 60A posts. There's even an option to upgrade the standard speaker output cabling to Neotech 14-gauge UP-OCC solid copper. And, the casework comes in black or clear anodized. To get more figurative, power delivery is 400/8Ω watts, 700/4Ω watts and 550/2Ω watts. It's the same for the mono and stereo chassis. That's because unlike the nCore 1200 modules found in the flush €10K+ competition from Acoustic Imagery, Bel Canto, Merrill Audio, Mola Mola and Theta Digital, this nCore 500 module isn't bridged. It's how its 2Ω spec stays put. Mono here just means one channel (hence two power cords if you don't play mono vinyl). Either way, owners of electrostats, planar magnetics and other very low-impedance speakers are catered to. 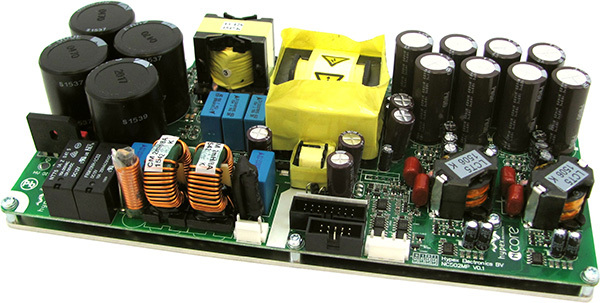 Voltage gain is a standard 26dB, input impedance an equally standard 51KΩ. At 93% efficiency, idle power draw is 18 watts. With the optional 12V trigger to park the amps in standby, consumption becomes zero. No parking tickets from Brussels. Fully loaded (trigger and Neotech wiring option), a pair of silver mono SE chassis demand either £1'765 (Sparkos Labs ) or £1'795 (Sonic Imagery). Worldwide shipping from the UK adds from £15 to £95 depending on location. To recap in bullet points: very high power, very low distortion, very efficient, pre-tweaked already but still user definable. Last but far from least, we add affordable. Or as Colin suggested, "I think we're currently one of the largest NC500 customers amongst boutique suppliers." For those wanting to spend less but still get "within 90-95% of a standard Hypex-buffered NC500 amp", Colin already offers "the new NC500 MP Series with integral SMPS [above]." This can even bridge to 1'200w/8Ω and 1'000w/4Ω for ultra-power mode like nCore 1200. "We're shipping these at £849. Our Uptake on the NC500—our buffer—has a certain magical richness and smile-inducing quality that's less dry and analytical." Within its first year, an AudioShark forum thread on Nord amps was at 100 pages already when I typed this. It was outdone only by an even longer earlier Job 225 thread. Incidentally, for class A/B options, the Swiss would be a direct competitor on price if far from power. On a purely personal note, I'd long wanted a pair of nCore amps in my hardware stable. I'd simply resisted. Whilst their tech was seriously impressive, for me there wasn't enough physical hardware in any of the switch-mode powered nCore 1200 options to justify their stiff tariff. When I look over our $6'500 pure class A Pass Labs XA30.8, I see 88 pounds of heat sinks, mega transformer and burly chassis. That's tangible stuff. At $16'500/pr, a Mola Mola Kaluga weighs in at a paltry 7kg. Despite such admittedly primitive thinking—shouldn't just the sound matter?—I can't ignore my inner caveman. He's a brute. With the Nord monos, he didn't even stir. So I bought them upfront through their online shop. What follows will be one more owner assessment. Did you spot a witty Colin-ism in the nomenclature: One Up NC500MB? One-upampship ain't bragging if true. Not true to scale, this image shows the Hypex/nCore stuff beneath the sheets: at left the NC500 modulator, at right the 1'200-watt switch-mode power supply. This is how it all goes together.